After coming to Taos as an empty nester I’ve embarked upon a photographic journey, much to my surprise. Amazingly, I’ve been able to capture fleeting, mesmerizing images. More than a dozen among my collection of photographs are the personification of surrealism, except that they are real. I am but a conduit, “striking while the iron is hot”, to record a brief moment before it’s gone. 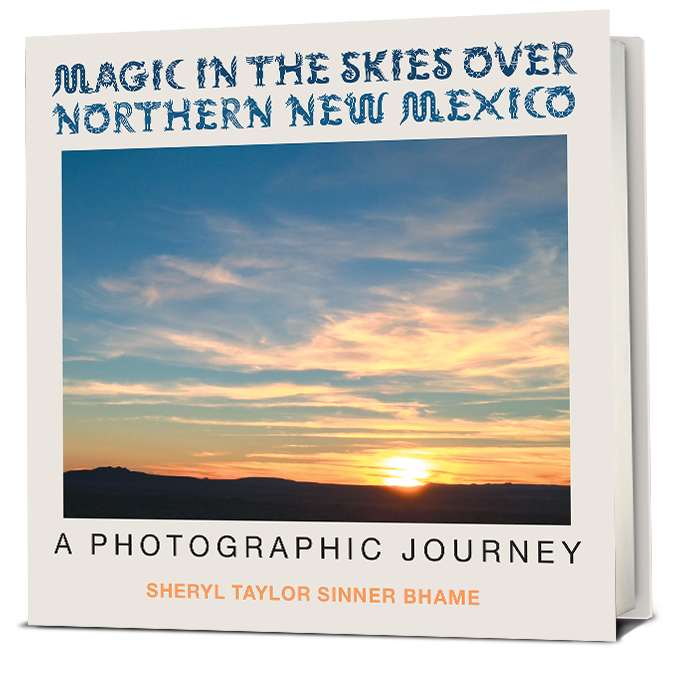 They are moments which have materialized here, in the skies over magical northern New Mexico.